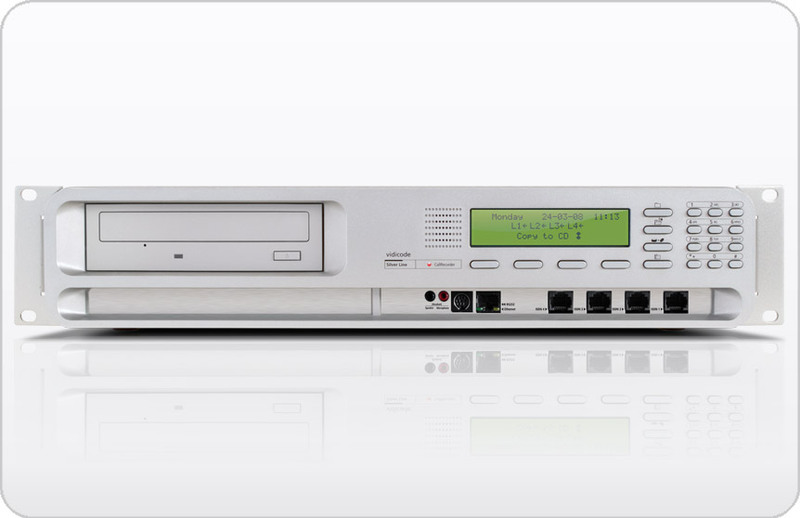 The Call Recorder ISDN II models are the ideal recording solution for small and medium sized businesses. Its features are, among others, conference mode and pass through mode. The Call Recorder ISDN II is a solution that will fit into your recording needs….always. It’s standard housing is the desktop version. It is also available in 19″ rack. The Call Recorder ISDN II is reliable and versatile. It has features and capabilities like Recording On Demand (ROD), Caller-ID filtering, Call Marking, Threatening mark mode, online notification and many more. 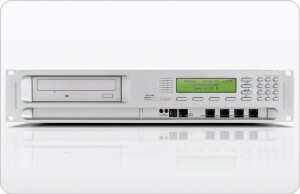 The Call Recorder ISDN II can use the Vidicode “Pass Through Mode”. Some of the possibilities of the Pass Through Mode, answer the telephone, give the notification message and then connect to the PABX. Various settings for selective recording, for example via a command from the telephone keys (** star commands) or based on internal or external number recognition (Caller ID). It can withhold internal telephone numbers on an outgoing call (CLIP Filtering). CryptoCards, The Call Recorder ISDN II is equipped with an IC Card reader. 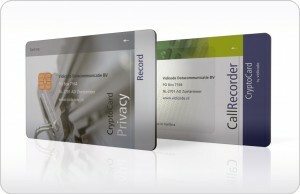 Using the CryptoCard, available as an option, the recordings can be encrypted. Without a corresponding CryptoCard and pin code the encrypted recordings cannot be played back. This is not only a professional way to protect the calls, but is especially useful to protect the privacy of the people involved.